Conor McGregor is gearing up for his UFC 205 pay-per-view (PPV) main event, which takes place Sat., Nov. 12, 2016 inside Madison Square Garden in New York City. Opposing him will be reigning lightweight champion Eddie Alvarez. But before he heads into pre-fight activities, including non-step pressers and other media obligations, “Notorious” has to make sure he’s looking good before he steps out in front of the cameras. 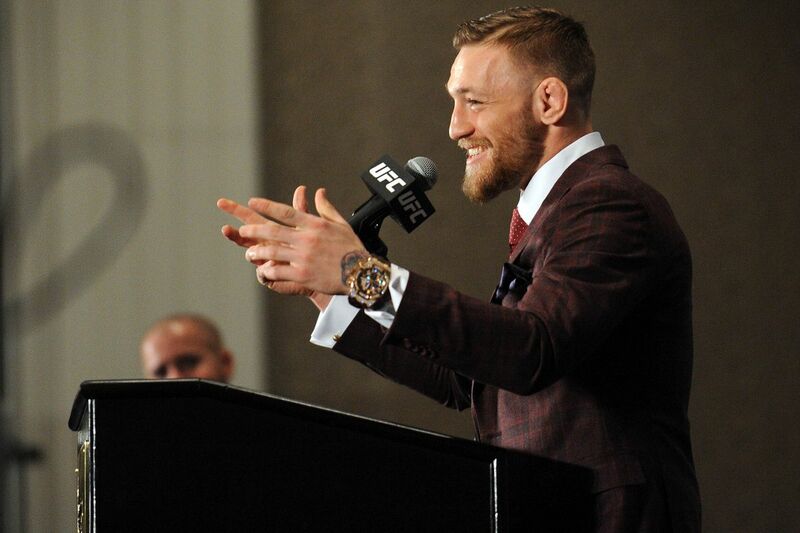 And as you can tell by the video embedded above courtesy of “The Mac Life,” Conor is meticulous when it comes to his wardrobe, as he leaves no stone un-turned when selecting his custom attire. Like his suits, he’ll have to bring his “A” game to “The Empire State” when he attempts to make history by becoming the first man to ever hold to title in as many divisions simultaneously. He’ll be looking sharp, but will his fighting skills be enough to dethrone Alvarez from the top of the 155-pound mountain? To learn more about the stacked UFC 205 card click here.